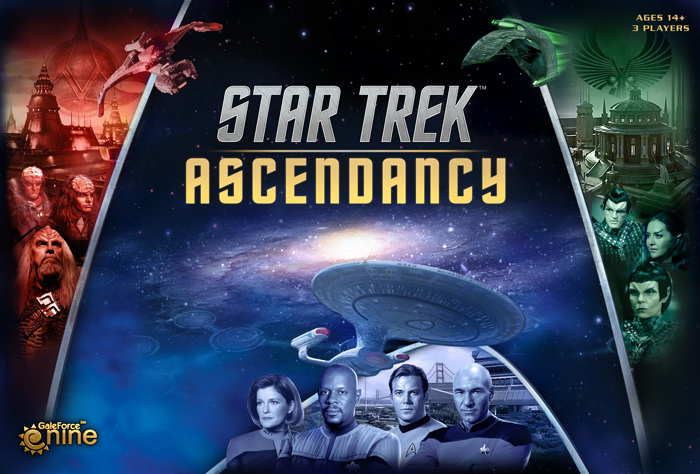 Fresh from Adepticon 2016, Gale Force Nine, publisher of well-known games such as Firefly and Spartacus, demoed a copy of their upcoming 4x game based on the Star Trek Franchise – Star Trek: Ascendancy! Here’s our feature on this awesome game! 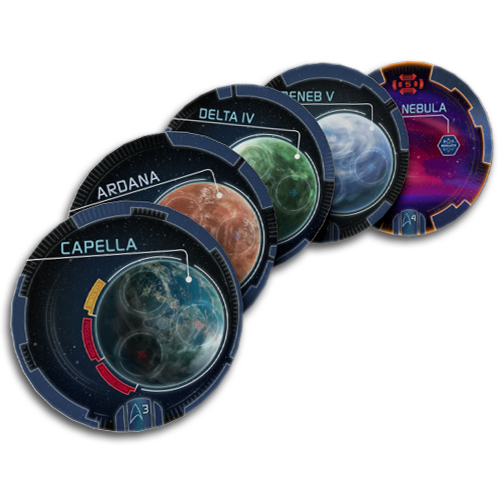 At the start of the game, each of the factions mentioned only have mastered the ability of interstellar travel, and to be able to colonize or conquer other neighboring planets they must explore the unknown regions in space… Much like the stuff from the TV show! So you start off with just your home system but eventually it will expand and upgrade (culture, production and research) as you discover new planets. To win the game a faction must have “ascended” up to level 5, reaching the peak of advancement for their civilization. The players start away from each other but, as they explore new areas (building the game board in the process), they randomly roll to create “space lanes” which connects the systems to one another. This provides a neat mechanic and also a possible strategy on how routes can be traveled, because the lanes dictate how easy or how difficult it is for your opponents to “access” your territory. Eventually when the players get to the middle of the board with connecting lanes, they can make “contact” to one another which could lead to all sorts of negotiations (making trade agreements and alliances) or even better… Combat! As one can expect, these paper-thin agreements can easily be revoked at any time by one of the factions! Keep an eye out for allied factions’ ships that are docked to your system… They might be there for another reason! 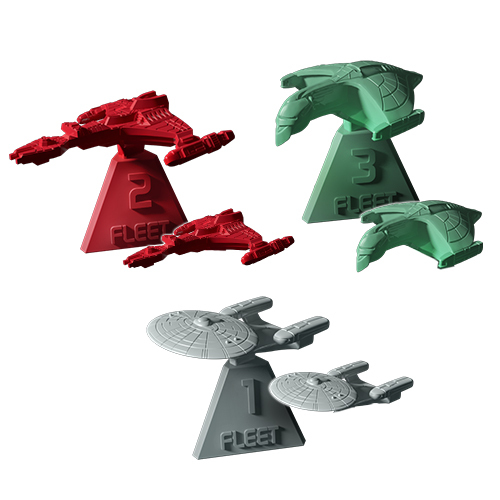 Speaking of ships, there are a lot of plastic components included in the base game! From what I can see in the images, they are possibly from “The Next Generation” era. 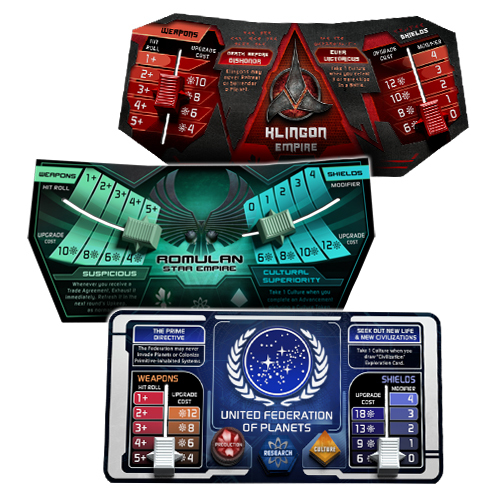 We can see the Galaxy-class for the Federation, D’Deridex for the Romulans, and Vorcha for the Klingon faction. 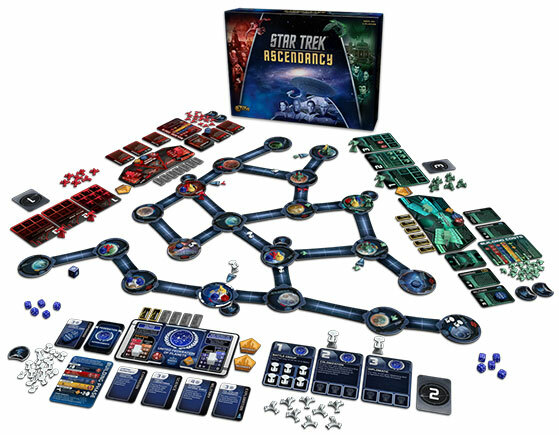 The game will be released August 2016 and will be a part of Star Trek’s 50th anniversary. And if the base game doesn’t excite you enough there will of course be expansions to be rolled out in a month or so once the game reaches our table. Expect the Cardassians and Ferengi to be the first among the new races to be added as well as a Borg expansion that according to the GF9 will act as somewhat of a deterrent to all the players. There are also a lot more factions in the works so there are really a lot of reasons to get you pumped up for this game! There you have it! Check back here at UnGeekPH for all the latest news in the world of tabletop gaming and till next time! Keep on playing games! Previous articleKingdom Hearts: Unchained X Now Available on the App Store!